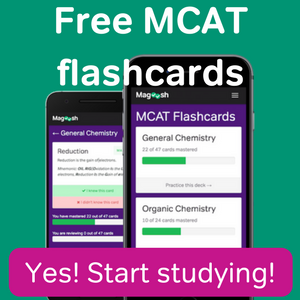 You have probably already heard that the new MCAT has a lot more biochemistry than the old MCAT. It’s not that there was no biochemistry on the old exam but it just wasn’t a major emphasis. On the new MCAT, biochemistry is the second most tested natural science subject after biology. You might now recall the pain of having to memorize the entire cellular respiration pathway and the structures of all the amino acids for your biochemistry class. 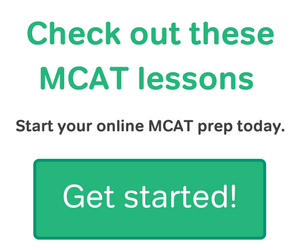 It’s true these concepts will be tested on the MCAT but not to as much depth. In this post, we will talk about MCAT amino acids and what you need to know about them for the exam. 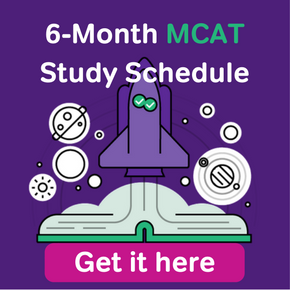 If you want to learn more about how the MCAT has changed, check out our previous posts on New MCAT vs. Old MCAT and Is the New MCAT Harder than the Old MCAT. We hope you get the point. MCAT amino acids are important. There are numerous ways that the exam can test these special organic compounds. 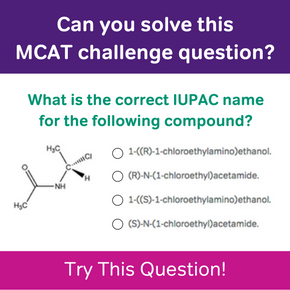 To give you an idea of how the MCAT tests amino acids, we have a couple practice questions for you to try. If you think you know the answers, go ahead and let us know by commenting below! 1. What is the net charge of the oligonucleotide DVLNQEK at pH 7? 2. Octopine is an analog of lactic acid found in the muscle tissue of some invertebrates. Which two amino acids is the compound (shown below) derived from? Is the answer to #2 D? 1. Determine which amino acids have acidic or basic side chains. Hi Ken! I thought B would be correct because you only take D and K into account? D is negatively charged and K is positively charged, so wouldn’t they cancel out at pH 7 because the C terminus would be deprotonated and the NH would still be protonated? I guess I’m confused. You are extremely close! Your approach is absolutely correct but there is one more acidic amino acid besides D. Once you figure out which amino acid I’m talking about, I’m sure you’ll figure it out! Is #1 C and #2 D? Cysteine and asparagine are both uncharged polar, meaning they are neutral. Im 14 and im reading this. Im amused by the amount of information that you need to know. I hope to go into the medical field. It’s great that you are starting early! Working in medicine is a long but rewarding path…best of luck in your journey!